In the summer of 2014, governments across tropical Asia readied for a looming weather and political emergency—potential droughts, crop failures, and food shortages that could stress developing world nations and challenge their ability to respond. According to weather observatories, the chance of an El Niño event occurring before the year&apos;s end was high. The central and eastern equatorial Pacific Ocean was warming up, a predictive precursor of El Niño, a temporary increase in global temperature that at its worst can generate a worldwide cascade of catastrophic changes to weather patterns. It was a false alarm. But the following year El Niño materialized with a vengeance. Boosted by the earlier warmth in the Pacific, the 2015–16 El Niño turned out to be one of the strongest events on record. Intense droughts affected almost 40 million people in southern Africa; flooding swept South American countries, displacing 150,000 people; and coral reefs experienced the most significant bleaching event scientists have ever seen, with nearly all corals in some parts of the Great Barrier Reef dying due to the high temperatures. 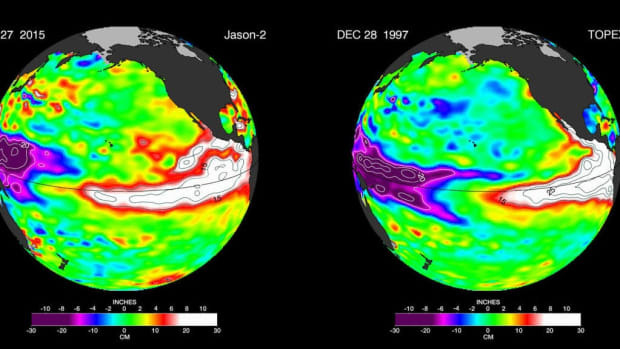 In space, a new NASA satellite, launched on July 2nd, 2014, allowed scientists to study the El Niño’s rise and fall, and its effects on the global carbon cycle in greater detail than ever before. The Orbiting Carbon Observatory-2 (OCO-2) was equipped with sensitive instruments able to measure atmospheric CO concentrations 10 times more accurately than previous methods. Overall, the 2015–16 El Niño led to the fastest rise in atmospheric CO on record, and helped push CO concentrations above 400 ppm for a full year for the first time in modern history. The OCO-2 findings went deeper. They revealed that the sudden surge in CO was greatly enhanced by emissions coming from the tropical forests of South America, Africa, and Southeast Asia—all responding to the El Niño by temporarily shifting from carbon sink to source. However, there were striking regional differences in each forest&apos;s response. Because El Niño conditions, with their elevated temperatures, may reflect what tropical climates will look like in the future as climate change escalates, such events "represent a massive experiment where we can get a glimpse of how these ecosystems" might respond, said Anders Ahlström, a scientist at Stanford Woods Institute for the Environment. And with tropical forests storing almost 250 billion tons of carbon, their fate has major implications for the Earth’s atmosphere—and life on Earth. "[T]his research shows that [El Niño] is truly a global phenomenon, impacting all the world&apos;s tropical regions and beyond," said William Laurance, of James Cook University–Australia, and a Mongabay board member. The "region-specific effects on forests and ecosystems" were intriguing, he said, "reflecting nuances of the global climate that we hadn&apos;t appreciated previously." OCO-2 continues to record 100,000 to 200,000 measurements a day as it orbits the Earth, documenting CO concentrations in regions where terrestrial measurement stations are few and far between. 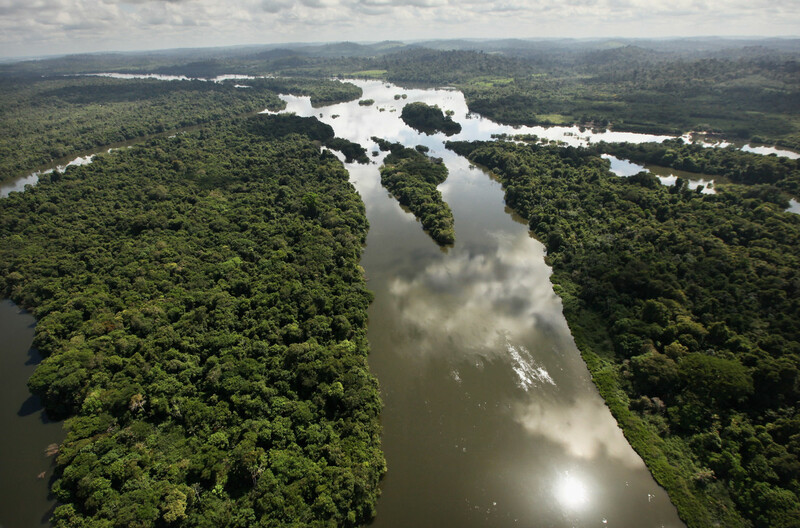 As such, it allows for the pinpointing of carbon sources and sinks in places like the Congo, Amazon, and Indonesian rainforests. Using this data to make large-scale inferences about the global carbon cycle was hailed as "an important milestone," by Emanuel Gloor, of the University of Leeds. It gets "us closer to near-real-time monitoring of ecosystem function and carbon cycle dynamics," said Trevor Keenan, of the University of California–Berkeley. "Previously, limited data in the tropics greatly limited our ability to determine key processes, or even to pin down which regions of the tropics were responding most strongly," to El Niño events, explained Junjie Liu of the Jet Propulsion Laboratory, California Institute of Technology, who led the research. Liu&apos;s team found that, during the 2015–16 El Niño, extreme drought meant trees stopped absorbing CO in South America. In Southeast Asia, forest fires raged in extremely dry conditions, quickly releasing stored carbon. And in tropical Africa, high temperatures resulted in increased ecosystem respiration. Together, the three regions emitted 2.5 gigatons more carbon during the 2015–16 El Niño than during the opposing phase of the cycle, known as La Niña, in 2011, with emissions split roughly evenly between the three forest regions. That&apos;s comparable to "about a third of all the emissions from fossil fuel burning," commented OCO-2 science team member Scott Denning when the research was published—but it wasn&apos;t the scale of the emissions that surprised Liu. "I was more surprised by the complexity of the Earth&apos;s carbon-climate system," she said. The 2015–16 El Niño brought record-breaking temperatures and the third major drought in a decade to the Amazon, affecting an area 20 percent greater than ever previously observed. 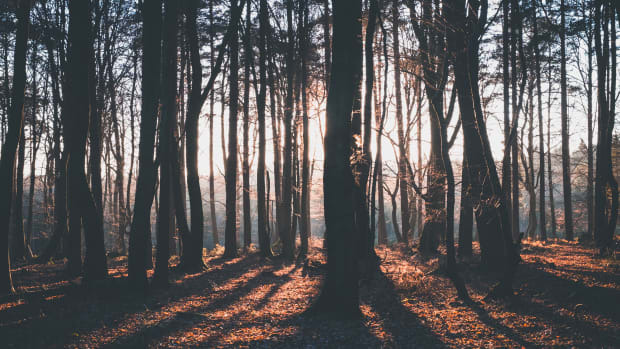 At first, drought causes trees to absorb less CO as they slow their photosynthesis rate, or stop photosynthesizing completely, to conserve water. But if conditions become extremely dry, hydraulic failure may occur: air bubbles form in the trees&apos; xylem—the channels that carry water from the roots to the canopy, resulting in tree death. 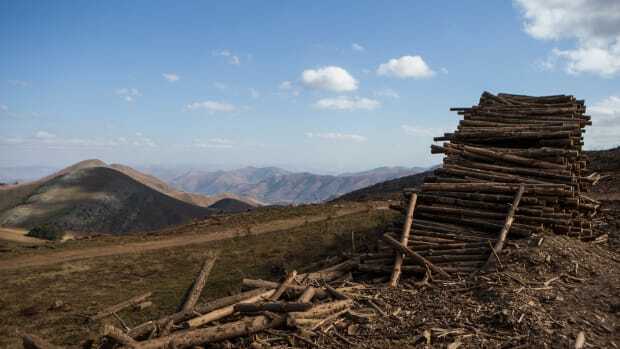 "Once a tree dies it will slowly decompose, releasing all the carbon it had stored in its leaves, stems, and roots back up to the atmosphere," explained Lucy Rowland, of the University of Exeter. Many species of tree are already near their limit of drought tolerance due to climate change, according to a 2012 study. Even a small shift to drier conditions could lead to hydraulic failure for 70 percent of 226 forest species, the research found. "[R]apid forest collapse as a result of drought could convert the world&apos;s tropical forests from [CO] sink to source during this century," the scientists reported. Climate models predict that Amazon droughts will become more common in the future, said Juan Carlos Jiménez-Muñoz, of the University of Valencia, which could result in an intensifying positive feedback loop. "In simple terms, more warming [leads to] more severe droughts, and maybe [to] more extreme El Niño events, which in turn leads to more severe droughts linked to El Niño conditions." Paulo Brando, of the Woods Hole Research Center in Massachusetts, said that some resilience to droughts is to be expected, because the Amazon rainforest "has adapted to periodic droughts over millions of years." But when multiple droughts hit in quick succession—as seen in 2005 and 2010, and again with the intense 2015–16 event—there is limited time for recovery, Jiménez-Muñoz said. This reduces forest resilience, increasing the chances of degradation "with implications [for] carbon uptake." "A major &apos;unknown&apos; is whether Amazon forests are resilient enough to cope with [the] intensification of drought regimes," that&apos;s predicted to accompany future climate and land use change, explained Brando. A better understanding of the recovery capacity of forests is needed in order to know "how much is too much" for Amazon forests, he said. The Amazon also saw a peak in fire activity during the 2015–16 event, Brando added. "A major concern is that, with mega-droughts becoming more common in the near future, fires could burn forested areas that are currently too moist to carry a fire." Wildfires dump the stored carbon in trees all at once into the atmosphere. By late 2015, parts of Indonesia, Malaysia, Singapore, and Thailand were without clear sight of the sun, as smoke clouded the sky. Indonesia&apos;s forest fire crisis engulfed the region in a toxic haze which was later shown to have affected 69 million people; over 100,000 likely died as a result. In total, 2.6 million hectares (more than 10,000 square miles) of land burned. At their peak, daily greenhouse gas emissions from the fires exceeded those of the United States, according to research by Guido van der Werf of the University of Amsterdam. "What makes Indonesia special [compared with other tropical forest regions] is that a substantial part of the tropical forest is on peatland, and that the human factor is much more important," van der Werf explained. "If you look at a map with forest loss over the past decades, there is hardly anything untouched." Peatlands are especially carbon-rich, accumulating organic material over thousands of years. Draining the peatlands "lowers the water table so the land can be worked on [for agriculture], but it also means the peat starts to decompose," van der Werf said. "During an El Niño, dry conditions lead to even lower water tables, which makes both the forests and peat vulnerable to fire, and humans take advantage of these drought conditions to burn the forests," in order to clear more croplands, especially for oil palm production. Fires frequently burn out of control, said David Gaveau of the Center for International Forestry Research, destroying larger areas of forest than originally intended. "Once the forest has burned, one would expect the forest to recover," he said, but an increased risk of subsequent fires "leads many forests to cycles of repeated burns." "Such cycles have converted millions of hectares of old-growth and selectively logged forest to fire-prone low vegetation: scrublands and fern fields. Once the land has reached that state, it is nearly impossible for the forest to grow back," he said. "The drought-fire mechanism in peatland depends on the [level] of [the] groundwater table [in relation] to the surface, that maintains [the] water content of [the] upper peat layer," explained Muh Taufik of Wageningen University. If the groundwater level becomes depleted, this is known as hydrological drought. Taufik&apos;s research has shown that, in years of hydrological drought, fires burned 10 times the area of forest as in non-drought years. Taufik also found that there has been a general drying trend in Borneo&apos;s groundwater over the last century, making the forests ever more susceptible to fire. Lan Qie, of Imperial College London, highlights a second major threat to Borneo&apos;s forests: fragmentation. This is a "persistent and progressive threat," said Qie, whose research has shown that forest fragment edges, adjacent to fields or oil palm plantations, are significant sources of carbon emissions because trees are more likely to die if they are near an edge. But even where intact forests remain, extreme El Niño events can knock those forests off balance. Qie&apos;s study also found that the 1997–98 El Niño, which was more pronounced in the region than the 2015–16 event, caused so much tree mortality due to drought that Borneo&apos;s intact forests tipped from carbon sink to source. The good news: These forests recovered quickly, suggesting that intact forests have a degree of resilience to even strong droughts, Qie said. Southeast Asia&apos;s Dipterocarp forests have evolved "under a climate regime including El Niño-driven supra-annual droughts," she added, with periodic, synchronized mass-seeding being an adaptation to these conditions. But, as has been seen in the Amazon, "it is possible that the resilience of the Borneo [carbon] sink may also be challenged in the future," Qie concluded. Again, it is a matter of "how much is too much," but no one currently knows where the tipping point may be, beyond which climate stressed tropical forests won&apos;t be able to recover. Until recently, Indonesia&apos;s peatlands were thought to be the largest tropical peatlands in the world. But in January of 2017, scientists published confirmation of a discovery: peat forests in the Congo basin covering 145,500 square kilometers (56,177 square miles) knocked Indonesia&apos;s peatlands into second place. The OCO-2 research revealed that tropical African forests did not dry out during the 2015–16 El Niño event: instead, rainfall levels remained normal. But temperatures did rise, driving increased ecosystem respiration, which resulted in heightened CO emissions. However, with on-the-ground weather data so limited across tropical Africa, the OCO-2 scientists reported that it was "challenging to verify" the link between temperature and carbon emissions that their remote-sensing data and models identified. This lack of data is also a hindrance when looking ahead. "[T]here are still many uncertainties as to how the climate will change across Central Africa in response to increased greenhouse gas emission," said Greta Dargie, who led the Congo peatland research, and there is "little consensus among the climate models for projections of precipitation patterns across the region." The Congo peatlands "appear to be strongly dependent on rainfall for the maintenance of their water tables," said Dargie, of the University of St. Andrews. A reduction in rainfall, or an increase in evapotranspiration—the movement of water from the soil, up through a tree&apos;s trunk and leaves, into the atmosphere—which could occur if temperatures increase, "could lead to the peatlands becoming drier and therefore result in an increase in carbon dioxide emissions," she said. But more research is needed to fully understand these mechanisms. 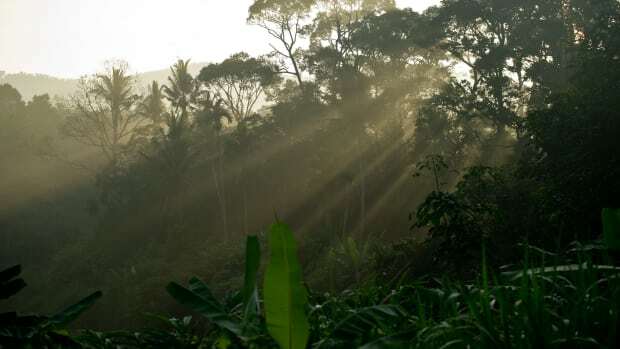 "Predicting the exact responses of tropical forests to climate change is tricky," Rowland said. 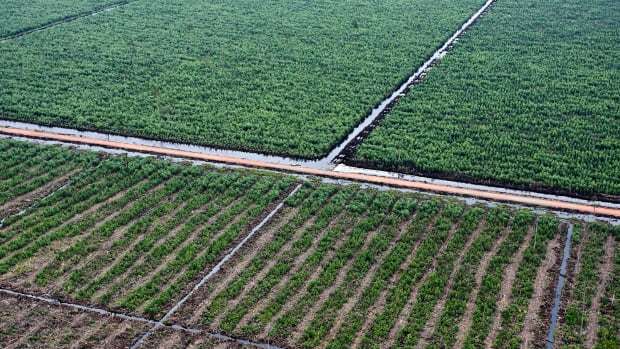 "We know they are likely to suffer as a result of rising temperatures and increasing droughts, but ... some of this damage may be partially off-set by increasing CO concentrations which will allow them to photosynthesize more." However, even without knowing how big the effect will be, "the response of tropical forests to climate change will almost certainly be negative," Rowland concluded. If climate change mirrors El Niño conditions "it may result in more carbon dioxide released from tropical forests, and more carbon dioxide remaining in the atmosphere, further warming our planet," Liu said. A warmer planet could see more frequent extreme El Niño events, resulting in further detrimental interactions between cyclical El Niños, tropical forests, carbon emissions, and worsening climate change. The emissions from El Niño events also have a long-term cumulative effect: "global [atmospheric] CO levels have permanently ratchet[ed] up a notch [as a result of] the strong 2015–16 El Niño event," Liu explained. But the magnitude of the most recent El Niño&apos;s carbon emissions may be smaller than one might expect, considering the event&apos;s near record intensity, said Gloor, which is some good news for forest resilience. "Interestingly, and maybe surprisingly, the global atmospheric concentration record does not show any signs that carbon release during the 2015–16 El Niño was anomalously large compared to other El Niño [events] in the past," once fossil fuel emissions are taken into account, he said. 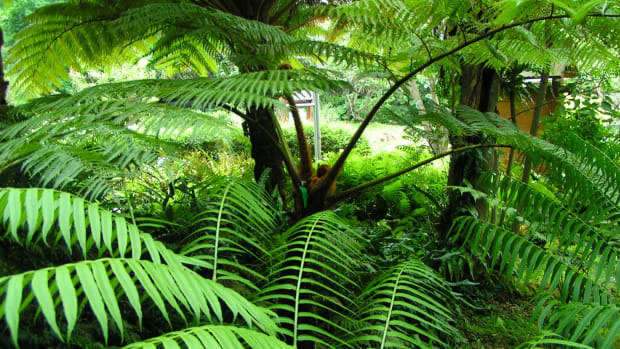 "Thus, so far, tropical forests seem to be able to cope with the steadily increasing temperatures, even when further enhanced during El Niño phases," he concluded. However, "the very rapid increase in temperatures is unprecedented. My guess is that if [peak dry season] temperatures move towards 45-50 degrees [Celsius, 113-122 degrees Fahrenheit] then forests may not be able to cope." The possibility of a looming tipping point—when the world&apos;s tropical forests cease to act as a sink, and become a permanent source of carbon—is an active area of research. "Some models project tropical forests will change from a sink to a source for carbon later in this century," said Keenan, although "there is large disagreement between model projections." "[O]ur satellite record isn&apos;t long enough yet to distinguish between" those varying model predictions, Liu explained. To get a better handle on if and when tipping points may occur, "we need a longer data record that [is] sensitive to changes of tropical forest carbon fluxes, such as [that provided by] OCO-2 type satellites, as well as field studies and experiments that can push tropical systems artificially into new conditions," she said. Irrespective of the timing of any climate-induced tipping point, human activity changing the face of the world&apos;s tropical forests may ultimately prove to be more critical. "Currently the biggest threat to tropical forests remains, in my opinion, sadly, still human destruction," Gloor said. "[G]iven that both fires and peat oxidation are so substantial, it is unlikely that the Indonesian forests as a whole are sinks," van der Werf concluded. In a drained peatland, "carbon goes out much faster than it went in." For the Amazon, Ahlström anticipates that three factors will determine whether the forest will be resilient in the long-term: "future changes in rainfall; the ecosystems&apos; ability to adapt to new, warmer, and more extreme climates that have no present analog; and deforestation." Tropical biologist Tom Lovejoy and climate scientist Carlos Nobre agree that deforestation may help spell the end of the Amazon rainforest. In a recent commentary piece, the two researchers argue that "negative synergies between deforestation, climate change, and widespread use of fire indicate a tipping point for the Amazon system to flip to non-forest ecosystems in eastern, southern, and central Amazonia at 20-25 percent deforestation." Lovejoy previously told Mongabay that he saw the major droughts since 2005 as the "first flickerings" of this process. In the meantime, more research is needed "in order to understand the likely future trajectory of the tropical carbon sink" and "directly inform policy" Keenan said. Liu agrees to the need for more tropical data, coupled with the right tools "to piece those data [sets] together into a complete picture" and "improve our understanding of how the Earth system works." Laurance concludes, "[c]learly, we still have a lot to learn about Earth&apos;s climate, and how it affects life and ecosystems." The big unknowns: are dangerous climate and deforestation tipping points approaching faster than we can understand and respond to them? According to a new analysis, tropical forest loss currently accounts for 8 percent of the world's annual carbon dioxide emissions. A new study found that, during drought conditions, increased termite activity led to considerably higher leaf litter decomposition, increased soil moisture, and greater diversity in soil nutrient distribution.